SteamedSteamed is dedicated to all things in and around Valve’s PC gaming service. It’s quite an achievement that Divinity: Original Sin 2 launched mostly functional despite how massive it is. That said, the experience had a few patches of pimples. Some quests were unclear or busted, it was too hard to talk your way through act 4, and most glaringly, chickens were way overpowered. Today, a big update resolved those issues and many more. The full patch notes go on for days and include multitudes of tweaks and fixes. The biggest ones, though, pertain to progression through the game’s fourth act, which many players including myself consider to be its weakest. 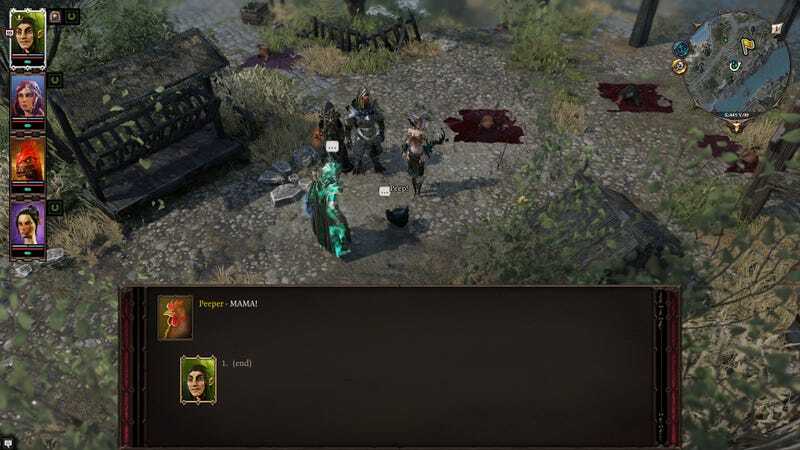 Developer Larian has added several “improvements and hints” that tie the zone together and introduce places and characters. It’s also lowered persuasion difficulty in the area, so you can more easily talk your way through encounters and confrontations. More generally, Larian has improved the game’s journal with additional quest status updates, which will hopefully make vague quests a bit less head-scratchy. Also, in a change that’s a goddamn godwoken godsend, you can now see all of your different characters’ runes in the menu when you’re slotting runes into a weapon or item. Previously, you had to shuffle runes between people’s bags before adding them to a particular character’s gear, and it was annoying as all hell. In battle, chickens will now only flee six meters, down from (approximately) a thousand miles. If you’ve taken to cheesing boss battles by turning bosses into chickens and then using the scoundrel skill “rupture tendons” to make them take huge damage from movement, that strategy won’t be as effective anymore. Otherwise, though, “chicken claw” is still a good stun that can trigger (free) attacks of opportunity from your characters. In better chicken news, void chickens “should not be able to absorb source points” anymore, so chickens are no longer vampires. Hooray! All in all, it’s a good patch, and I hope to see more like this in the future. I do have one complaint, though: ladders are still the absolute worst. Every time my main character climbs a ladder, and then the rest of my characters get stuck on each other trying to climb the ladder, at which point I have to maneuver them individually up the ladder, hopefully without accidentally making my main character come back down the ladder, I die a little inside. Please, Larian, fix ladders in the next patch. I’m begging you. You’re reading Steamed, Kotaku’s page dedicated to all things in and around Valve’s wildly popular PC gaming service. Games, culture, community creations, criticism, guides, videos—everything. If you’ve found anything cool/awful on Steam, send us a message to let us know.